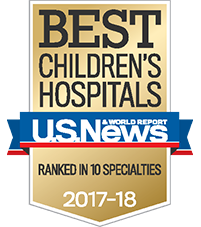 We appreciate your commitment to the hundreds of thousands of children treated at Children’s each year, and want to provide a convenient online experience for you. Please register and become a part of the Children’s Online Community. Sign in to your Children’s Online Community profile. If you don't remember the Password or User Name that you registered with, request a reminder we can e-mail that information to you. If you prefer to make a donation without registering, get started here. Your donations directly impact the lives of each family served by Children’s and support many initiatives such as clinical excellence, research, teaching, wellness and charity care. Trying to access your Friends Asking Friends fundraising page? The log-in and password for the Friends Asking Friends fundraising pages differ from the registration information to access our donation and event registration forms. If you can’t remember your Friends Asking Friends registration information for any of the above pages, request a reminder. $10 can help fund Bingo prizes for Family Night. $50 can help fund stipends for performing artists to appear on hospital closed-circuit television. $500 can help fund Camp Braveheart scholarships to allow heart transplant patients to attend this specialized summer camp. $1,000 can help fund a single outpatient chemotherapy infusion treatment to help a child battle cancer. $5,000 can help fund echocardiogram exam tables, which assist in the diagnosis of heart-related conditions.